Conference of Presidents, Simon Wiesenthal Center express disappointment over delay in Embassy move to Jerusalem. Jewish groups in the United States on Friday expressed disappointment over President Donald Trump’s decision to delay the move of the U.S. Embassy in Israel from Tel Aviv to Jerusalem. Trump on Thursday signed a waiver keeping the Embassy in Israel at its present location for at least six months. “The Simon Wiesenthal Center is very disappointed by President Trump’s decision to delay transfer of the U.S. Embassy to Jerusalem. We are certain that the Trump Administration is very well aware that no Israeli Prime Minister will ever cede sovereignty over Jerusalem. The city is and will remain the undivided capital of Israel,” said Rabbis Marvin Hier and Abraham Cooper, the Dean and Founder and the Associate Dean of the leading Jewish Human Rights NGO. “The sooner the world powers, The Vatican, and Israel’s Arab neighbors understand this unalterable fact, the sooner the path to true peace and reconciliation can be reached”, Rabbis Hier and Cooper concluded. Conference of Presidents leaders Stephen M. Greenberg, Chairman, and Malcolm Hoenlein, Executive Vice President/CEO, also expressed disappointment at Trump's decision. 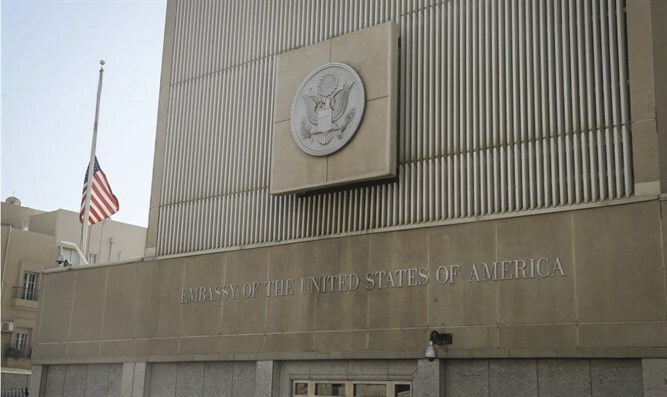 “Moving the Embassy to Israel’s declared capital would rectify a historic wrong, and would not prejudge the outcome of negotiations as it would be located in western Jerusalem, universally recognized as part of Israel. We hope that, as indicated in the announcement of the waiver, this decision will be reviewed in the coming months. This is an especially propitious time given the celebration of the 50 years of the reunification of Jerusalem that was celebrated across the Israeli political spectrum and around the world,” they said. “We appreciated President Trump's important visit to the Western Wall as the first sitting President to do so. It was a significant gesture and evoked little criticism or negative reaction. There was positive support in Israel and elsewhere for the important statement that his visit made. Praying at the Western Wall, the last remnant of the Temple structure, underscored the more than 3000 year connection of Jerusalem to the Jewish nation, faith and people,” said Greenberg and Hoenlein. The Palestinian Authority (PA) welcomed Trump's move on Thursday, claiming the decision was "an important positive step that will strengthen the opportunities for implementing peace."